China will continue reforms to streamline administration and improve services for science workers, allowing them to focus on their research and create new innovations to benefit society, China's top science official said on Friday. 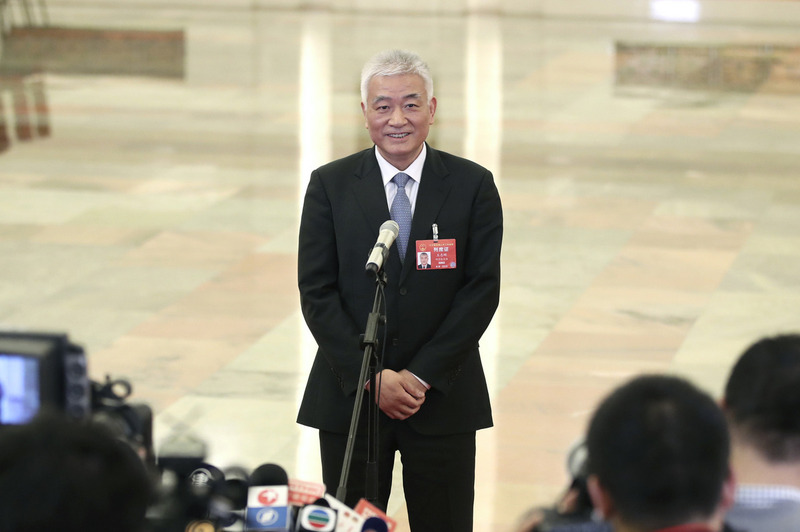 At its core, technological innovation is all about talents, Wang Zhigang, minister of science and technology, told reporters in the "minister's passage" at the Great Hall of the People in Beijing. As a result, China issued new rules and regulations last year to motivate science workers and unleash their full innovative potential, he added. However, there are still many cumbersome administrative issues that are weighing on researchers' minds, including budgets, red tape and application forms, Wang said. Therefore, through new reforms and legislation, "we hope to eliminate these issues, allowing scientists to focus their time and energy on research," he added. The ministry also is constantly in touch with researchers, entrepreneurs and experts, learning about their latest needs and formulating new reforms that can meet those demands, Wang said. "We have to find ways to better serve our scientists, and let them feel their work is appreciated," he said, adding it also is important to motivate universities, research institutes and companies to work together in pushing scientific frontiers and tackling socioeconomic issues via innovations. While loosening bureaucratic restraints, China also will tighten its standards on research ethics and academic integrity, Wang said.